Location: Eastern Britain, the Residential District. Affiliation: The High Council of Britannia. Last Visited by Brytt Heathard on August 2nd, 2010. 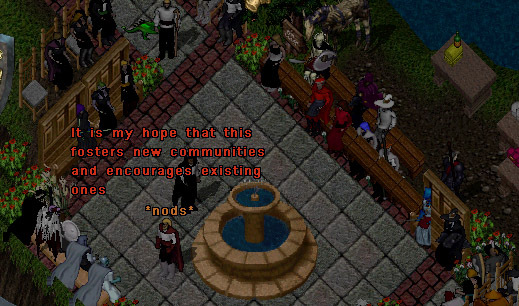 The Black and White Affair: The Britannian Heraldric Society Opens It’s Doors. 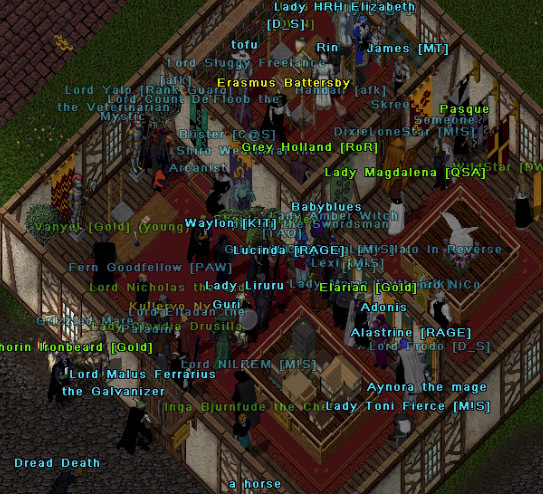 For those who were unable to attend last week’s opening of the new Britannian Heraldric Society, here is what you missed! 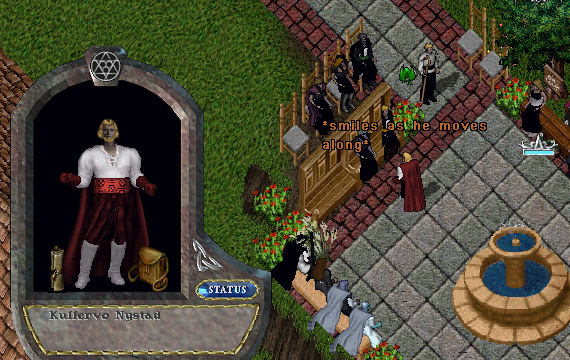 Fashionable Kullervo Nystad (thanks in part to Lucinda, whose classy red and white outfit was chosen for the socialite twin) appeared and took time to meet members of the crowd. There was a fantastic turnout! Everyone who came, it seemed, was dressed in some of the finest attire sported for a single evening. After introductions, Kullervo announced that he had decided the best way to honor the memory of his deceased twin sister, Aino Nystad, was to use their estate to foster the preservation and formation of the independent communities. 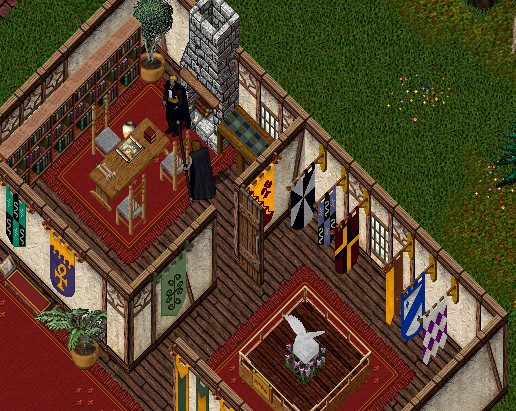 A new curator had been selected for the Heraldric Society: Erasmus Battersby, who was introduced to the crowd and who it was announced would be taking up office in the new Heraldric Society building, to be unveiled. Finally, the moment that had set the gossip trails so abuzz… It was time to open the doors! Watch, as the Britannian Heraldric Society doors are… erm… opened! 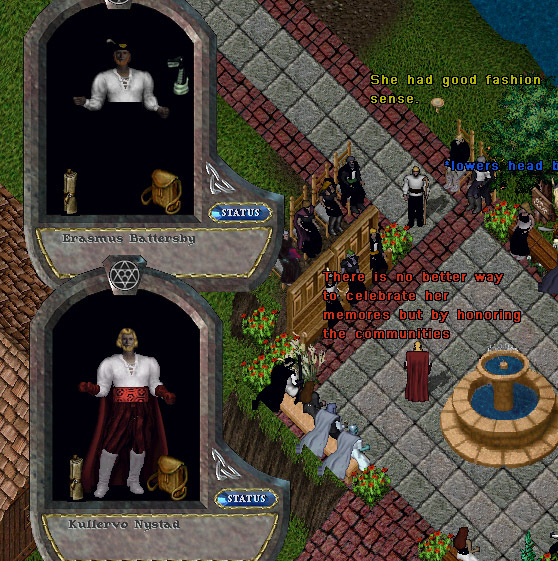 The new Heraldric Society contains a model of urban development with heraldric legacy, a memorial to Aino Nystad and a plaque dedicated to the gracious donation made by the Nystad estate, and the offices of Curator Battersby, who will maintain office hours to be announced, likely frequently on weekends. Thanks to all who came, for a successful unveiling!